Venezuelan President Nicolas Maduro will almost certainly secure a fresh six-year mandate today, as his country holds an election that is unlikely to be free or fair. Indeed, Maduro’s primary opposition to the presidency, Leopoldo Lopez and Henrique Capriles, have been barred from running, while a coalition of opposition parties will boycott today’s vote. Though some polls have suggested Maduro’s lone rival, Henri Falcon, leads the race, the president controls the electoral board, making Falcon’s victory improbable regardless of how much support he has. Adversely, Falcon’s participation could be a political tool for Maduro to legitimise his victory. 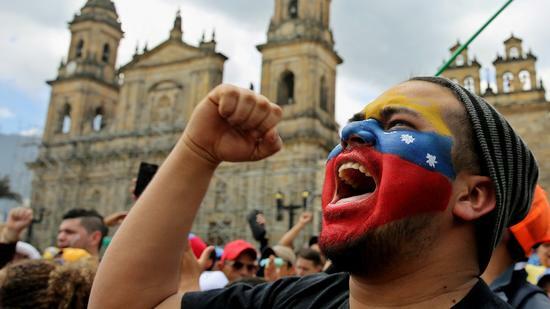 Victory for Maduro could exacerbate the Venezuelan humanitarian crisis that has seen some three million people flee the country, a proliferation of hunger and violence, and inflation that is expected to hit 13,000% by the end of the year. With fresh sanctions on Venezuela’s oil production a likely response to the election–already declared unfair by the US, EU and other Latin American countries–there is no end in sight to Venezuela’s economic crisis, which could spark violent protests that have taken 233 lives since 2014.